If you’ve already gathered quite a few mods, clearomizers, RDA’s and accessories, so things can messy easily. It is important to keep your gear neat and organized for the best experience. And, that’s where the Fumytech Unikase comes into play. 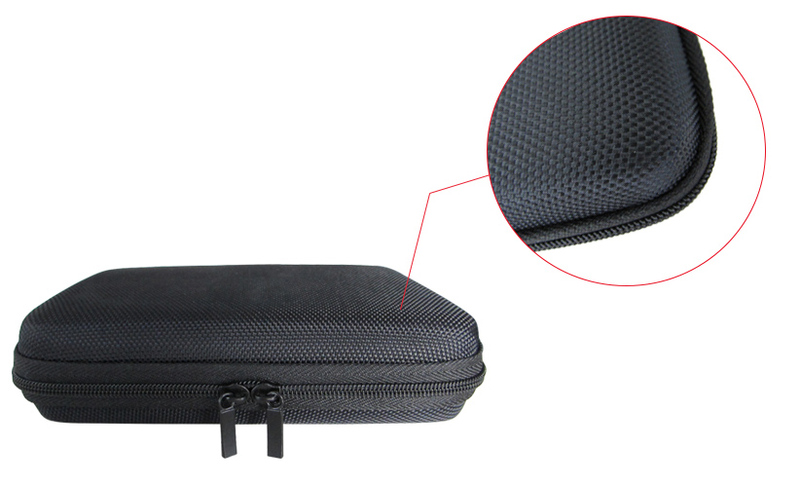 The Fumytech Unikase is a multi-functional, multi-purpose adjustable case for all of your gear! Carry your mods, atomizers, e-juice, wicking supplies, tools, and so much more! Everything you need for vaping can now be carried in one convenienct case - the Fumytech Unikase. What makes it an outstanding product is the inside elastic bands that can hold multiple mods, clearomizers, atomizers, e-liquid and basically anything else you have that can be fastened down by one of the elastic bands. Inside the case, everything is straight up, no predefined pouches. 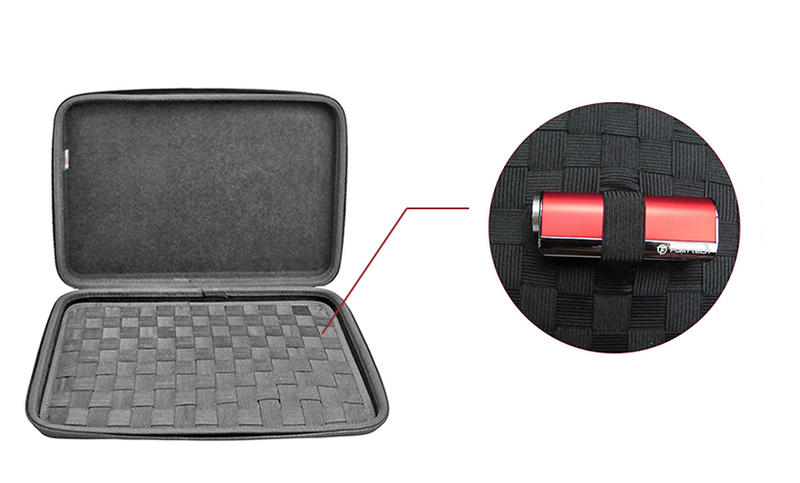 On the one side ,there is a mat filled with elastic bands crossing over one another to hold all your vape gear. 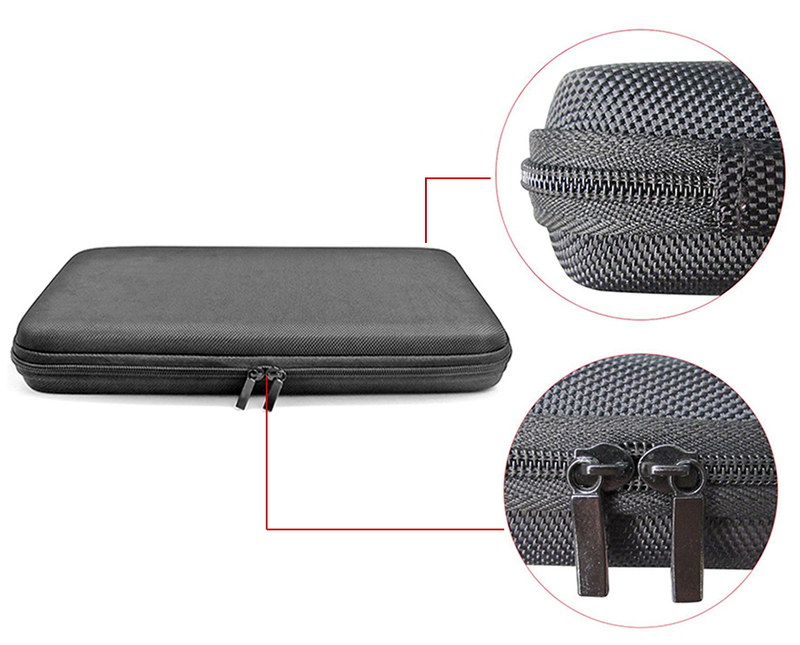 The elastic bands that hold your gear in this case are solid and tight, and overall everything works just as it should. Similar to all other Fumytech products, the Unikase has outstanding quality as well. The Fumytech Unikase closes together with a high-quality zipper for easy access. The inside is lined with cushioning material for your delicate items, while the exterior shell is firmer to provide increased protection. Warning: this drawing and pouch model was introduced by FumyTech , any forgery is prohibited.